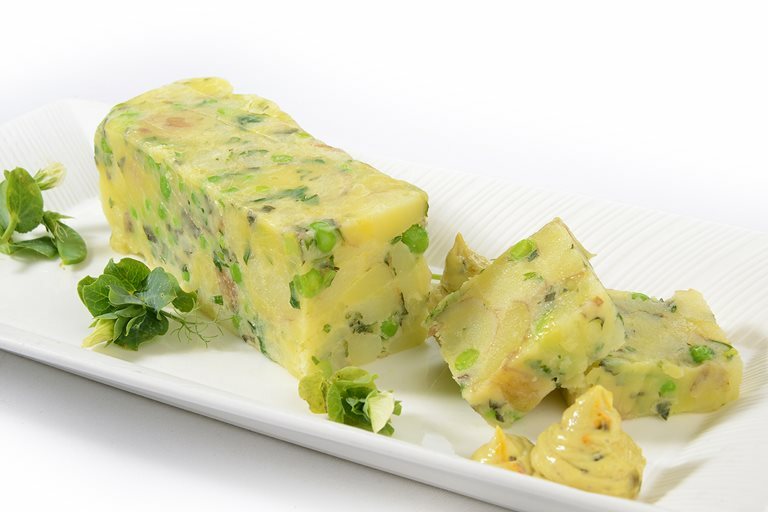 Frances Atkins' new potato and pea presse is a celebration of that glorious time of year when spring edges into summer, and is packed with fresh, seasonal ingredients. It is a great dish for a dinner party as it can be made in advance and warmed through when guests arrive. If you can't track down any wild garlic for the herb dressing try using mint or tarragon.